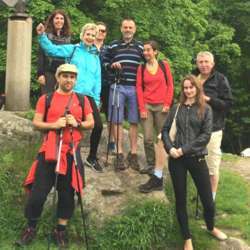 You must be a member of the Prague Walking Group to attend this activity. Would you like to join this group? Looks like the snow will stay. Reason enough to look at the town from some viewpoints. Riegerovy sady, Vitkov and Letna will be the spots. It will become pretty cold and may be also on the walk. Please be prepared. 8k.